On this page you can find a number of our best print resources for a free digital download. Most of these books are also available for purchase on digital platforms such as the itunes bookstore, or amazon. If you wish to obtain print copies of many of these books, you can do so for most of them on amazon, or by contacting us. Details for each book are next to the image below as you scroll down. Please click to be taken further down the page to where each book is described in more detail. The Apostolic Revelation is one of the premier text books on the subject of the Restoration of Apostles. It is a foundational work, and lays the essential concepts of this being a relational, as opposed to structural, work that God is doing. It answers many questions about what Apostles are, and what they do. Nepali: PDF - Download these Required Fonts. The Spirit of Sonship is an essential read for pastors and all believers. Sonship is an attitude towards leaders in the Body of Christ, and this book discusses the heart of a son. Concepts such as fathering, sonship, the orphan heart and the relational nature the Church should have are covered. How do you take a group of believers and build community with them. Jesus took a group of completely different people, and over the course of 3 years taught them. Then on the day of Pentecost a wonderful change occured and they received the spirit of understanding. They became an apostolic people. The Biblical concept of Eldership is so different to the Eldership we see in church congregations today, that after reading this book, you will wonder if things can change. They will! This is a must read book, and your prayers and heart for the Kingdom will lend aid to what God is doing in the Body of Christ today. This book is not currently available as a free download, but is available for purchase online as either a digital download, or paperback copy. This short book of just 10,000 words, is a conceptual summary of the Apostolic Revelation. Each major idea from that book is taken and reduced to it's essential concepts. This is done for the sake of brevity, and to make it easier for many who cannot read a bigger book, or don't have the time or money. This short book of just 10,000 words, is a conceptual summary of the Spirit of Sonship. Each major idea from that book is taken and reduced to it's essential concepts. This is done for the sake of brevity, and to make it easier for many who cannot read a bigger book, or don't have the time or money. 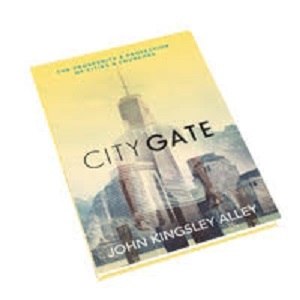 This short book of just 10,000 words, is a conceptual summary of Building an Apostolic People (formerly Holy Community). Each major idea from that book is taken and reduced to it's essential concepts. This is done for the sake of brevity, and to make it easier for many who cannot read a bigger book, or don't have the time or money. Baptism isn't just a church tradition - it is something powerful, a means of grace, and it is commanded by Christ. 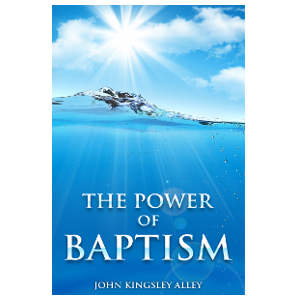 Read this book written by John Alley essential for every believer about to follow Christ into the waters of Baptism.